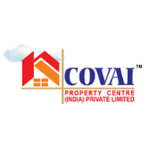 Covai Property Centre (India) Pvt. Ltd. was established in the year 2001 by Colonel (Veteran) A Sridharan, VSM & built on the principles of quality, professionalism, transparency and good work ethics.Having changed the landscape of real estate in Coimbatore, the company, popularly known as Covai, has been the pioneer in Senior Retirement Homes since 2004. Team Covai is today the only company which not only continues to develop Retirement Communities which are suited with the changing times but also shares its abundant knowledge by providing senior care consultancy for many quality senior care communities to be developed in many parts of India as well as abroad.